This is an easy, step-by-step guide for website developing! This tutorial is very helpful for individuals, business owners, bloggers and anyone else who is daunted by the prospect of building their own website. With this guide I want to show you that you don’t need to code or hire a web developer to have a great looking and functioning website. You can build your own professional website in 3 simple steps. It’s totally FREE, with many layouts/themes to choose from. Small or large site? Great for both. Your site will be ‘responsive’. Meaning it’ll work on mobiles & tablets, too. HUGE support and developer community available to help. So, I will recommend you to build your website on WordPress. There are plenty of other website builders out there to choose from, but WordPress wins hands down for a number of reasons. The WordPress platform itself is free, but a domain name and hosting will cost you around $3-$5 a month. However it costs less than a coffee, so it won’t break the bank. So you've purchased your domain name and web hosting and now it’s time to make your website function. In just a few minutes your site will come alive. Some web designers / developers like to install WordPress manually to get a custom install of the components they want and don’t want. Others will need to manually install because their web host does not have the “1-click-installation” capability. If this applies to you then you’ll need to have a quick read through of my Manual WordPress Set-Up Guide. Find the file named wp-config-sample.php and change the name of it to: wp-config.php. You can do this by right clicking the file and selecting the option “rename”. 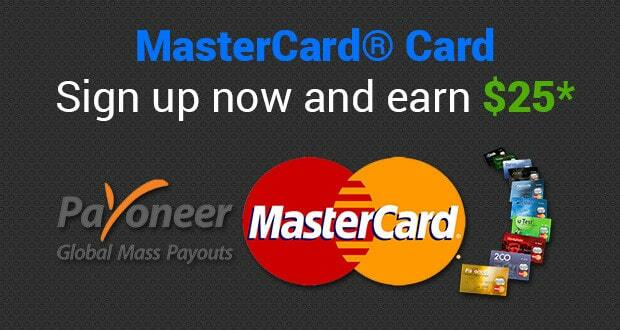 So you have purchased your very own domain name and hosting. You’ve installed WordPress on your server, set it up and now you’re ready to venture into the on-line world with your new website. It’s time to make this site of yours look professional / awesome / cool, whatever you want it to be. This bit is so easy and we’ll have you up and running in no time! 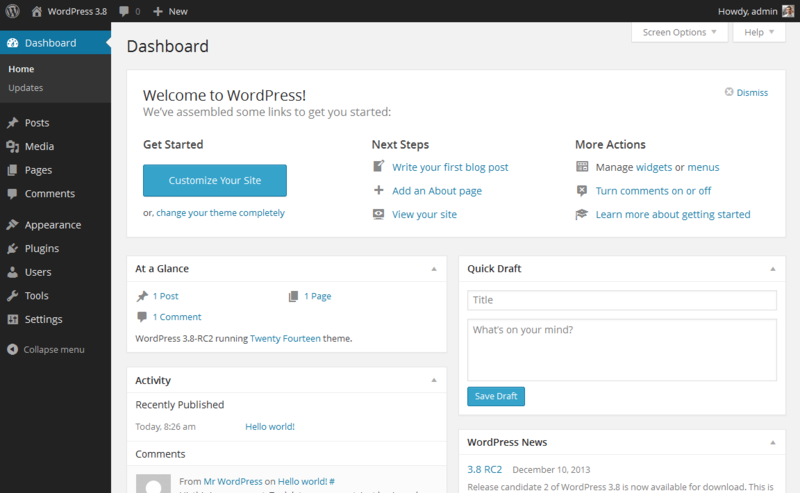 WordPress automatically installs a very basic theme to get you started. There’s also a “HTML box” a text box where you can use HTML code. For beginners, don’t worry about this bit just drag and drop the elements you’d like in your sidebar. Contact form 7: My website has a contact form on my About Me page. It’s an awesome feature to have, as people (like you!) can fill in the form and send me an email without logging into their own email provider. If you want to do something similar, definitely get this plugin. P.S. Here’s a step-by-step guide for setting it up. Yoast SEO for WordPress: If you want to make your WordPress site even more SEO-friendly, this plugin is a must-have. It’s free, and it’s awesome. You’ll be able to edit your title tags, meta descriptions and more, all from within the page itself – no more fussing with WordPress settings. Google Analytics: Interested in tracking your visitors/traffic and their behaviour? Just install the plugin, connect it with your Google account and you’re ready to go. Congratulations! you’re ready to launch. 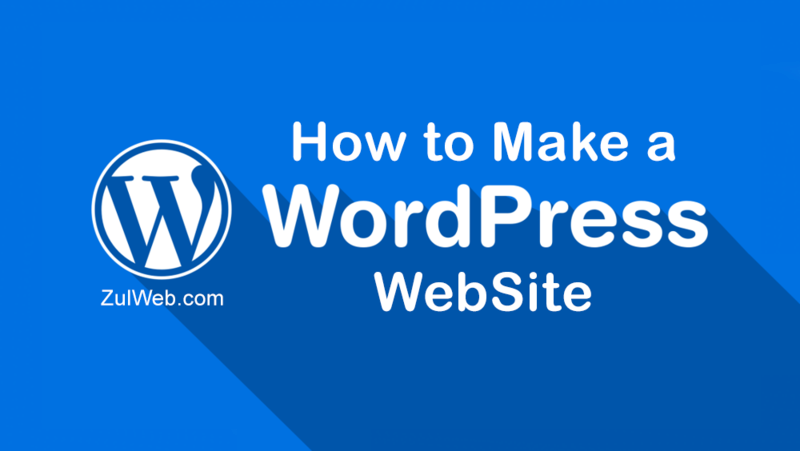 If you have followed the steps in this tutorial, you should now have a fully-functional WordPress website! That wasn’t so bad, was it?